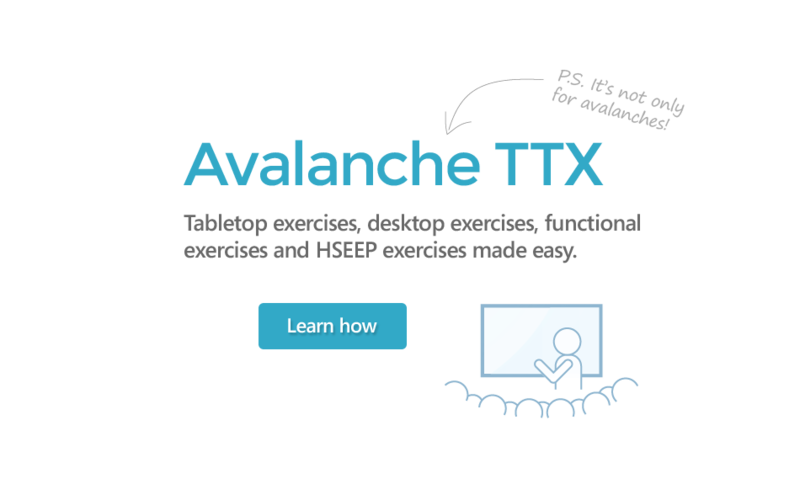 Software for tabletop exercises, desktop exercises, functional exercises and HSEEP exercises. Flexible workplace simulation system for scenario training, business continuity and compliance. Micro-simulation and visualization for crowd management and planning. Avalias. Your partner in business continuity, cyber security, emergency management, scenario training and simulation. Avalias help organizations with a wide range of emergency management, business continuity and related services. We work alongside your team or independently to deliver projects and specialize in confidential matters. For a confidential discussion about your project get in touch. Copyright © 2003 - 2019 Avalias.